We’d love your help. 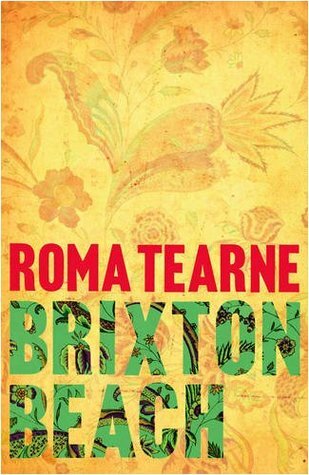 Let us know what’s wrong with this preview of Brixton Beach by Roma Tearne. London. On a bright July morning a series of bombs bring the capital to a halt. Simon Swann, a medic from one of the large teaching hospitals, is searching frantically amongst the chaos and the rubble. All around police sirens and ambulances are screaming but Simon does not hear. He is out of breath because he has been running, and he is distraught. But who is he looking f London. On a bright July morning a series of bombs bring the capital to a halt. Simon Swann, a medic from one of the large teaching hospitals, is searching frantically amongst the chaos and the rubble. All around police sirens and ambulances are screaming but Simon does not hear. He is out of breath because he has been running, and he is distraught. But who is he looking for? To find out we have first to go back thirty years to a small island in the Indian Ocean where a little girl named Alice Fonseka is learning to ride a bicycle on the beach. The island is Sri Lanka, with its community on the brink of civil war. Alice's life is about to change forever. Soon she will have to leave for England, abandoning her beloved grandfather, and accompanied by her mother, Sita, a woman broken by a series of terrible events. To ask other readers questions about Brixton Beach, please sign up. Is this a book a young teen can read? What times does it tell With? What would it be rated as a film? This is the first I have read of Roma Tearne. She is a Sri Lankan artist and writer whose family moved to Britain in 1964. Tearne had a Tamil father and Sinhalese mother and the long-running civil war was very immediate to her and runs through her work. This book is a family saga with a dual setting; Sri Lanka and London. The novel revolves around Alice Fonseca and her family; at the beginning of the novel she is nine and living in Sri Lanka; she has a Tamil father and Sinhalese mother. The first This is the first I have read of Roma Tearne. She is a Sri Lankan artist and writer whose family moved to Britain in 1964. Tearne had a Tamil father and Sinhalese mother and the long-running civil war was very immediate to her and runs through her work. This book is a family saga with a dual setting; Sri Lanka and London. “Words were not his thing; explanations were best done with brushes. The colour of a place, the angle of the light, a tree, these spoke volumes”. “The war began drumming again. After months of silence it marched in two-four time; a two-conductor orchestra without direction”. Alice and her parents move to London where her parents’ marriage breaks up and her father spends much more time with working for the Tamil Tigers whilst her mother gradually withdraws from life. Alice survives because of her art which provides her with a way of expressing herself. Alice marries an Englishman and has a child. This relationship does not last and Alice moves her mother in to live with her and her son and names the house Brixton Beach. Tearne’s description of Alice’s mother’s dementia is well written and coherent and done with a light touch. Towards the end of the novel Alice begins a new relationship. The novel begins and ends with the 7/7 bombings in London. As a plot device it is a little forced, but provides a link between the terrorism provoked by western involvement in the Middle East and the very bloody, but ignored, civil war in Sri Lanka. Tearne does not spare the readers emotions and the female characters are very strong. However, apart from Bee (who holds the whole thing together), the male characters are rather two-dimensional and there are some rather trite moments as well. Despite the faults the novel reads well and the descriptions of Sri Lanka are vivid and the strongest part of the whole novel. The point is also made that the obsessions of the west are not the only things that are happening in the world and that British imperialism had a good deal to do with the working out of events as well. The lasting impression you are left with after reading this book is, as most of the reviews suggest, how beautifully written it is. Although the plotline is slow moving, the characters are rich and I found myself growing increasingly fond of Bea in particular as I turned the pages. Seeing his adoration of his grandaughter reminded me of my own grandfathers love for me and I would hope sparked recognition of this unique type of love in every reader, even if it wasn't neccesarily that of a grandpa The lasting impression you are left with after reading this book is, as most of the reviews suggest, how beautifully written it is. Although the plotline is slow moving, the characters are rich and I found myself growing increasingly fond of Bea in particular as I turned the pages. Seeing his adoration of his grandaughter reminded me of my own grandfathers love for me and I would hope sparked recognition of this unique type of love in every reader, even if it wasn't neccesarily that of a grandparent. I was surprised to find however as I reached the end that the novel was actually quite tragic in many aspects as very little happened that could be construed as upbeat or positive. Maybe it was the delicacy of the prose that distracted me from this fact but once it occured to me I did find myself wanting a happier ending for alice, real life I suppose though isn't a fairy tale and so this certainly wasn't. When family tragedy strikes, Alice Fonseka, a dreamy, artistic child with a Singhalese mother and Tamil father, leaves the beautiful island of Sri Lanka. Unable to bear the injustice of what has happened, her family heads for England. ...That sounds promising I thought, a tale of an immigrant in London. Sadly Brixton Beach does not live up to it's promise. This novel is set half in Sri Lanka and half in London. This book was written in 2009 and has 408 pages. It is not until page 226 when Alice actually arrives in England. This story is a slow and poor read. There is nothing gripping about this tale, it lacks a core and has no bite. This book is very easy to put down and there is no mystery or conspiracy going on. Brixton Beach is obsessed with art, colour and light. It is very shallow on immigrant culture. This story is rather sad and once Alice comes to London, this increasing sadness dominates this book. It just gets sadder and sadder. This is not a book to enjoy and is not really entertaining. It is simply a tale of increasing sadness and despair. A wonderful but very sad book set in Sri Lanka and Brixton - I wept buckets. I enjoy what one might call 'emigrant' (or 'immigrant') literature and decided to read this after hearing an interview with Roma Tearne on BBC Radio 4. I was not disappointed. The troubles in Sri Lanka (Ceylon) go back quite a way and, other than the war with the Tamil Tigers, are largely unknown and unacknowledged. Alice Fonseka is a child who straddles an unstraddle-able divide: her father is Tamil, her mother Sinhalese, so Alice and her sister are both and neither, an extremely uncomfortable I enjoy what one might call 'emigrant' (or 'immigrant') literature and decided to read this after hearing an interview with Roma Tearne on BBC Radio 4. I was not disappointed. The troubles in Sri Lanka (Ceylon) go back quite a way and, other than the war with the Tamil Tigers, are largely unknown and unacknowledged. Alice Fonseka is a child who straddles an unstraddle-able divide: her father is Tamil, her mother Sinhalese, so Alice and her sister are both and neither, an extremely uncomfortable place to be. Her father leaves Sri Lanka for England, but it is a while before he sends for his wife and children. In England, his Tamil compatriots try to make him reject his Sinhalese wife. Bit by bit, they, time, distance and his own character accomplish this. In the meantime, his wife and children spend time with her parents, who actively but secretly support the cause of Tamil equality, going so far as to hide a wounded Tamil activist. Finally the wife and children go to England, the grandparents are massacred by Sinhalese and Alice feels her ties to the country she loves have been severed. These roots resurface in her adult life in her art, but she now finds, after marrying an Englishman, that her own son is in the unenviable position of being neither English nor Sri Lankan, cut off from his mother's roots, but not accepted for what he is in his father's country. And the love between Alice and her husband withers and dies, and only at the end does she find true love. The ending is shocking, but nonetheless 'right': we choose whom we love and why, whom we accept, and we choose what we are. The location of this book was so meaningful having spent the Holiday with Nic at Mount Lavinia earlier this year. The poignant life of loss an regret was so painful and the ending so fitting of a person who having been whisked away from violence in her childhood to die by the sword or the hand of a terrorist was somehow so very cruel when you believed that she had perhaps found her peace and love at last. Sitting her writing this I almost forgot that Alice and her mother where not one person but The location of this book was so meaningful having spent the Holiday with Nic at Mount Lavinia earlier this year. The poignant life of loss an regret was so painful and the ending so fitting of a person who having been whisked away from violence in her childhood to die by the sword or the hand of a terrorist was somehow so very cruel when you believed that she had perhaps found her peace and love at last. Sitting her writing this I almost forgot that Alice and her mother where not one person but that loss and lack of love could carry on over the generations seemed to be too shocking. A really good book, which was written beautifully. Roma Tearne managed to use very few words but sent your mind spinning. Her powers of observation are quite unbelievable. Although a sad tale from a very sad situation in Ceylon to gritty inner city London, this book just shines. I suspect it is semi autobiographical, and the pathos within the story is huge. Another heartbreakingly sad but beautiful book from Roma Tearne. It had me smiling and crying in equal measure. The descriptions are so real you can see and smell them, the heartbreak and tragedy keeps coming, this book will stay with me for a long time. I loved this book. I hadn't some across Roma Tearne before but I shall be reading her earlier two novels now. Beautiful writing - metaphors that show she thinks instinctively as an artist. The impact of war and the redemptive effect of art were cleverly woven throughout the story. This was the perfect novel for me to read after returning from a holiday in Sri Lanka. The horrors of the civil war there have been neatly papered over for tourists but echoes remain. It was salutary to immerse myself in the characters and experiences created by Tearne who fled Sri Lanka with her family when she was very young. Tearne's character, Alice Foseka, experiences the same fate. Alice, who has a Singhalese mother and a Tamil father, is a precocious ten year old with a close relationship This was the perfect novel for me to read after returning from a holiday in Sri Lanka. The horrors of the civil war there have been neatly papered over for tourists but echoes remain. It was salutary to immerse myself in the characters and experiences created by Tearne who fled Sri Lanka with her family when she was very young. Tearne's character, Alice Foseka, experiences the same fate. Alice, who has a Singhalese mother and a Tamil father, is a precocious ten year old with a close relationship to her Singhalese grandfather, Bee. Bee is an artist and Alice sees the world through the lens of his artistic vision, absorbing the sights and smells of her birth country in a way she will never forget. The novel is intensely visual and emotional. As Alice grows to womanhood, she continues to be an outsider until she is able to transform her losses into redemptive art. The name she gives her London home - Brixton Beach - is an example of how she manages to bring the beauty of her homeland into her lonely immigrant life. Brixton Beach by Roma Tearne presents a vast project. Its story crosses the globe, beginning in Sri Lanka and ending in Britain. Great events befall its characters, but throughout their lives seem to be writ small against a backdrop of history. The novel opens with an apt quote from Jack Kerouac – All life is a foreign country. This idea forms substantially more than a theme, in the no matter how secure the book’s characters might appear – and equally however insecure – they never really seem to Brixton Beach by Roma Tearne presents a vast project. Its story crosses the globe, beginning in Sri Lanka and ending in Britain. Great events befall its characters, but throughout their lives seem to be writ small against a backdrop of history. The novel opens with an apt quote from Jack Kerouac – All life is a foreign country. This idea forms substantially more than a theme, in the no matter how secure the book’s characters might appear – and equally however insecure – they never really seem to be at home with themselves. We meet the Fonsekas in Colombo. They live near the beach in this frenetic city. Alice is a nine-year-old. Her parents, Stanley and Sita are a mixed marriage, Tamil and Sinhalese. Alice’s grandparents, Bee and Kamala, are happily married in their own way. Bee is something of an artist. The grandparent show significant wisdom. But things are stirring in Sri Lanka. There is a smell of conflict, a hint or war. A mixed marriage is hard to sustain, and its offspring don’t fit into anyone’s interests or desires. Alice grows into a rather isolated child. She has friends, but then she doesn’t. She does well at school, and then she doesn’t. She makes things, shares her grandfather’s artistic bent. Lives in paradise grow steadily more complicated, apparently less sustainable. Stanley, Alice’s father, decides that his future, and eventually his family’s, lies in Britain. He books a sea passage and an unscheduled stop-over in Greece opens his eyes to ancient cincture and provides other activities that always threatened, but until then never materialised. In Britain he ekes out an immigrant’s lot, doing whatever he can. When Sita and Alice eventually join him, he has changed and they don’t fit in. They can’t. Perhaps no-one ever does, anywhere. Sita mourns the child she lost to her own destruction as she works from home on her sewing machine. Alice doesn’t get on at school, except with a chain-smoking art teacher. And so life progresses, from one mistake to the next, with an idealised past becoming a new paradise, a place that it perhaps never was. But there is no going back. Conflict has intervened. Lives have been lost and there will be more to follow. Marriages fail. There are short passionate affairs. There is much imagined longing. Roma Tearne’s story thus meanders through its themes, but without ever concentrating on any particular one to create a lasting impression. The characters seem more confused than reflecting, more victims of events than their instigators. Wherever they are, they remain foreign. This was a beautifully written book, telling the story of Alice Fonseka growing up in Sri Lanka with a Singhalese mother and a Tamil father. The war between the two sides strengthens and Alice's father Stanley applies for a passport to England ... Alice and her mother Sita will follow in three months leaving behind Alice's devoted Grandma and Grandad, Bee and Kamala. The descriptions of Sri Lanka are so vivid you can almost taste the salty air and smell the coconut oil. England is drab, cold, gre This was a beautifully written book, telling the story of Alice Fonseka growing up in Sri Lanka with a Singhalese mother and a Tamil father. The war between the two sides strengthens and Alice's father Stanley applies for a passport to England ... Alice and her mother Sita will follow in three months leaving behind Alice's devoted Grandma and Grandad, Bee and Kamala. The descriptions of Sri Lanka are so vivid you can almost taste the salty air and smell the coconut oil. England is drab, cold, grey and damp in comparison. The book follows Alice (and her family) as she struggles to find her place in this new country, her schooling, her artwork, her marriage and the birth of her son Ravi. We also learn the fate of those left behind in Sri Lanka. The book concludes .. as it started in the prologue... with the retelling of the devastating London bombings of 7.7.2005 .. and we follow Alice as she makes her way to Baker Street to catch a tube on the Bakerloo line. On the whole I liked this book but it did seem to move too slowly at times. It seems to take an awful long time before Alice embarks for England (six long chapters I think) ... and as we already know she's going (from the title and the premise) I was impatient for her to begin her journey. I loved the relationship between Alice and her Grandfather Bee .. very moving and it was easy to connect with Alice as a child .. as an adult it became harder as she seemed to become more emotionally disconnected to the world and .. though I don't think I was meant to .. I found myself struggling to keep that connection with her. You never stop empathising with her though and hoping that she will eventually find hope and love. Reading the authors biog at the front of the book it's clear that this is part autobiographical .. Roma came to England from Sri Lanka to escape the war (she had the same parentage) at about the same time as Alice and so it's steeped in authenticity and truth. It is relentlessly depressing though .. hope is given out in very small thimblefuls .. and for that reason I couldn't say I loved reading it but it was thought provoking and very touching. `Brixton Beach' opens dramatically with the horrific events of the 2005 London bombings - a beginning that immediately pulled me into the novel. The descriptions of the after-math of the bombing are vividly drawn, quite disturbing and very thought-provoking. The story then moves back thirty years to war-torn Ceylon - and concentrates on the story of Alice, the daughter of a Singhalese mother and a Tamil father. The major character in Alice's life is her grandfather Bee - a strong, brave man with `Brixton Beach' opens dramatically with the horrific events of the 2005 London bombings - a beginning that immediately pulled me into the novel. The descriptions of the after-math of the bombing are vividly drawn, quite disturbing and very thought-provoking. The story then moves back thirty years to war-torn Ceylon - and concentrates on the story of Alice, the daughter of a Singhalese mother and a Tamil father. The major character in Alice's life is her grandfather Bee - a strong, brave man with family values and the good of his country at the heart of everything that he does. As a child of parents from two different cultures, Alice is treated as something as an outsider and after a tragedy within the family she and her mother follow her father to England to find a better life. This is a colourful and descriptive novel which I enjoyed immensely, towards the end of the story I found it very difficult to put down. The ending is dramatically written and the story ends on the same day that it begins - the July 2005 London bombings. I wanted to like this book more than I did as it has a lot of potential. Tearne has re-created both the beauty and desperateness of Sri Lanka in the 1970s -- colours, beaches -- and political upheaval. Her depiction of Sri Lanka is excellent, and she's able to contrast it with London well. Where Tearne lets me down when it comes to characterisation. Some, such as Grandfather Bee, are fully developed, and I miss him when he's not in a chapter. However, others, such as Stanley, a rather significan I wanted to like this book more than I did as it has a lot of potential. Tearne has re-created both the beauty and desperateness of Sri Lanka in the 1970s -- colours, beaches -- and political upheaval. Her depiction of Sri Lanka is excellent, and she's able to contrast it with London well. Where Tearne lets me down when it comes to characterisation. Some, such as Grandfather Bee, are fully developed, and I miss him when he's not in a chapter. However, others, such as Stanley, a rather significant character, seems like cardboard. Even Sita becomes a stereotype of herself just when she needs our compassion the most. And there are times when I confess I started skimming. Her descriptions of the 7 July 2005 London bombing, with which she starts the novel, are vivid -- but a mite predictable in how they are used. This review has been hidden because it contains spoilers. To view it, click here. Ow - this book should have a warning on the cover. A very good read but brutal to the reader. So much loss to bear. Intense. Characterisation was gripping and the sense of place was very atmospheric especially Sri Lanka and the beach. I felt the early days in London were less successfully wrought - no coverage of the racial mix of the school / community which I needed to get my bearings and understand their experiences. I would like to pass this on - but I'm not sure I'd want to put family / fri Ow - this book should have a warning on the cover. A very good read but brutal to the reader. So much loss to bear. Intense. Characterisation was gripping and the sense of place was very atmospheric especially Sri Lanka and the beach. I felt the early days in London were less successfully wrought - no coverage of the racial mix of the school / community which I needed to get my bearings and understand their experiences. A moving tale of displacement, community dissension and kinship. The novel isn't flawless but has enough of a grip on human nature, in both its good and bad guises, to keep the reader engaged. The descriptions of the community tensions of 1970s and 80s Sri Lanka are nicely balanced by the those of friendships and and family ties. As the story unfolds, you see the best and worst that mankind can do. I really enjoyed the parts of the book that were set in Sri Lanka as the descriptions conjured up images of stunning beaches and clear skies (which having been to the country is my memory). I also identified with the characters who were well developed and felt real. The parts of the book set in London made starck the contrast between the two countries and the lives lead there. I would recommend this, particularly as a holiday read. Oh my gosh, what a vibrant, stimulating start to the book. You can practically smell the sea in the pages! Alice is very much alive and part of your world. However, in the second half she is a stranger. It feels as though another author has finished the second half. This broke my heart more than the story. The journey of straddling two societies/cultures was intriguing at first but the utter despair throughout 95% of the book was just paralyzing. The empathy you feel for the characters just turns into complete anguish and hopelessness, which, admittedly was probably purposeful by the author. It was just too much and too disheartening for my taste. One of the most beautifully written books I've read for a long while; the use of descriptive language to evoke the beaches of Ceylon and the contrasting bleakness of Brixton is wonderful. The story is the epitome of human tragedy and addresses the issues of injustice, unfairness and potential if only circumstances had been different. it had me crying very badly and made my whole day moody. Alice Fonseka is the mixed race daughter of a Tamil father Stanley and Singhalese mother Sita. At the start of the book while Alice stays with her beloved artist grandfather Bee, Sita loses her baby to the neglect of a Singhalese doctor. Sita shuts down while Stanley emigrates followed (to his later regret) by Sita and Alice. Sita has come out of her mourning due to an affair with a Tamil Bee shelters after he is shot by the police but the Tamil is then killed while she is sailing to England thu Alice Fonseka is the mixed race daughter of a Tamil father Stanley and Singhalese mother Sita. At the start of the book while Alice stays with her beloved artist grandfather Bee, Sita loses her baby to the neglect of a Singhalese doctor. Sita shuts down while Stanley emigrates followed (to his later regret) by Sita and Alice. Sita has come out of her mourning due to an affair with a Tamil Bee shelters after he is shot by the police but the Tamil is then killed while she is sailing to England thus crushing her hopes again. Eventually Stanley leaves Sita due to her obsession with the dead baby and his own increasing attraction to the Tamil cause. Meanwhile Bee is eventually murdered for his efforts in sheltering Tamils and increasingly political artwork. The two parts of the family and friends – in Sri Lanka and the UK lose touch almost completely. Alice develops artistic skills and a crush on her art teacher but then finding he is engaged to another teacher rapidly agrees to marriage (which quickly leads to a child) with an Englishman who over time leaves her due to her foreignness. As an adult and increasingly recognised sculpture she meets a married doctor and not long after they begin an affair she is killed in the 7/7 bombings. Overall an enjoyable but not brilliant book – at first the book was very unconvincing and uninvolving, becoming more interesting as Alice and her mother emigrate and then a little implausible and conventional in Alice’s adulthood. Themes include: art and sculpture as a way of capturing loss and feeling; the contrast between the violence of paradise and the peace and prosperity of dreary England; post 9-11 leading to terrorism suddenly coming to the West (albeit seeming to ignore the IRA); dispossession and diaspora (its effect on the emigrants and on the ; the spiral of racial tension, hatred and violence in Sri Lanka including the increasing erosion of personal liberty in the Singhalese community; how loss can lead to a lack of any feeling or emotion; a grandfather placing all his hopes and dreams in his grandchildren. But she also didn’t belong in Sri Lanka as she was half Singhalese and half Tamil at a time when the animosity between the two peoples was leading to the Civil War. I read the book because I was travelling to Sri Lanka and I like to read a novel set in the country I’m visiting. The novel does provide insights into Sri Lanka and describes with love its coast. The book is also about memory: ‘All my life is built on memories,’ says he main character. Her memory is mainly of her grandfather, an artist who lives on the coast and describes himself as a ‘man who travelled to far-flung places without moving an inch.’ I liked very much that the central relationship in the novel is between the main character and her grandfather. I can’t think of another novel where such a relationship is central, and I’m fascinated by the account of the relationship partly because of my growing relationship with my grandson--and, as with the main character in the novel, he is about to move thousands of miles away. The book must be autobiographical to a considerable degree, and Roma Tearne must have had a strong love for her grandfather. If she didn’t she’s very successfully transplanted her love from some other relationship. Beautifully written story that gives a valuable insight into the Tamil-Sinhalese conflict in Sri Lanka, including the little-known role of British colonialism. The writing is very powerful, and there are lots of interesting ideas and themes that emerge in relation to family, love, belonging, identity, immigrant life, political violence, personal legacy, and more. I also enjoyed the lengthy descriptions of natural phenomena more than I usually do. My one complaint would be that everything goes wro Beautifully written story that gives a valuable insight into the Tamil-Sinhalese conflict in Sri Lanka, including the little-known role of British colonialism. Roma Tearne is a Sri Lankan born artist living and working in Britain. She arrived, with her parents in this country at the age of ten. She trained as a painter, completing her MA at the Ruskin School of Drawing and Fine Art, Oxford. For nearly twenty years her work as a painter, installation artist, and filmmaker has dealt with the traces of history and memory within public and private spaces. In Roma Tearne is a Sri Lankan born artist living and working in Britain. She arrived, with her parents in this country at the age of ten. She trained as a painter, completing her MA at the Ruskin School of Drawing and Fine Art, Oxford. For nearly twenty years her work as a painter, installation artist, and filmmaker has dealt with the traces of history and memory within public and private spaces. In 1993, Cadogan Contempories, London, began showing her paintings. In 2000, the Arts Council of England funded a touring exhibition of her work. Entitled ‘The House of Small Things’, this exhibition consisted of paintings and photographs based on childhood memories. They were the start of what was to become a preoccupation on issues of loss and migration. She became Leverhulme Artist in Residence at the Ashmolean Museum, Oxford in 2002 and it was while working at the Ashmolean, as a response to public interest, that she began to write. In 2003 she had a solo exhibition, Nel Corpo delle città (In the Body of the City), at the MLAC Gallery in Rome. In 2006 she was awarded a three-year AHRC (Arts and Humanities Research Council) Fellowship, at Brookes University, Oxford where she worked on the relationship between narrative and memory in museums throughout Europe. Out of this work came Watermuseum a film set in Venice which was shown at the Coastings exhibition in Nottingham in 2008. In 2008 she received funding from the Arts council of England in order to make a film on memory and migration. This film is due to be premiered in 2010. Her second novel Bone China was published in April 2008 and her third Brixton Beach will be published in June 2009. She will be having her first solo exhibition since 2001 at the 198 Gallery, Brixton at the same time. Roma Tearne is currently a Creative Writing Fellow at Brookes University, Oxford.